Senior Megan Beachy will continue her basketball career at Urbana University. Her signing will be on Wednesday, April 15, at 3pm in the Reese Center Lobby. This makes the 40th signing for the Lady Hawks. Please come and be a part of the ceremony!! The Lady Hawks held their Awards Banquet on Monday April 6th. Receiving special honors (L to R): Rachel Horn – Most Rebounds; Brittany Miller – Defensive MVP; Alex Troyer – Most Charges and Leadership; Megan Beachy – Miss Basketball; Kennedy Schlabach – Most Steals and Most Assists. Great job Ladies! 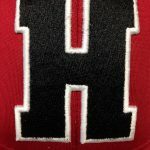 The AP Eastern District Honors were recently made and the following Lady Hawk basketball players received: Megan Beachy – First Team Kennedy Schlabach – Second Team Rachel Horn – Third Team Alex Troyer – Special Mention Brittany Miller – Special Mention AP Eastern District awards will be out sometime next week. 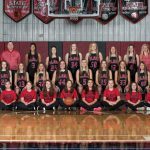 The 7th Grade Lady Hawks concluded their 14-1 (10-0 IVC) season with a 21-20 win against Garaway’s Lady Pirates. The championship game was held at Newcomerstown on Wednesday evening, February 11th. Last night’s 8th grade girls tournament victory will have them play this Saturday (2/14) in their championship game at Garaway High School at 10am. 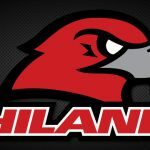 Multiple Teams · Oct 9 Hiland Winter Pre-Season Parent Mtg.